Happy Star is such a ham and loves to be the center of attention. He recently attended a Birthday Bash for the Omaha Storm Chaser’s mascot, Casey. 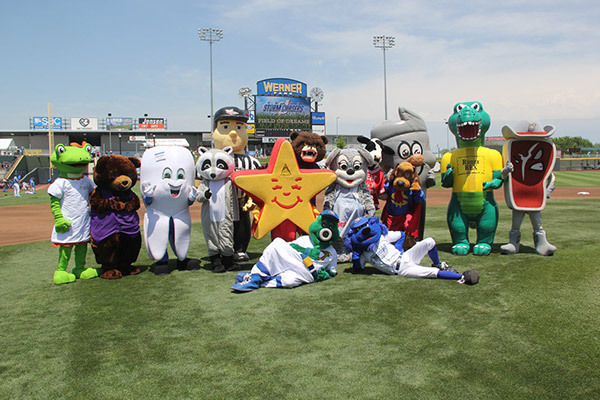 The Omaha Storm Chasers invited all of their sponsor’s mascots to the party, as well as game attendees. 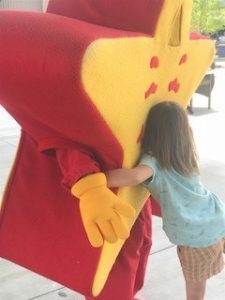 While Happy Star loves events like this, he loves hugs from kids even more. After the game, all kids running the bases received a card to redeem 3-piece chicken tenders from Happy Star!